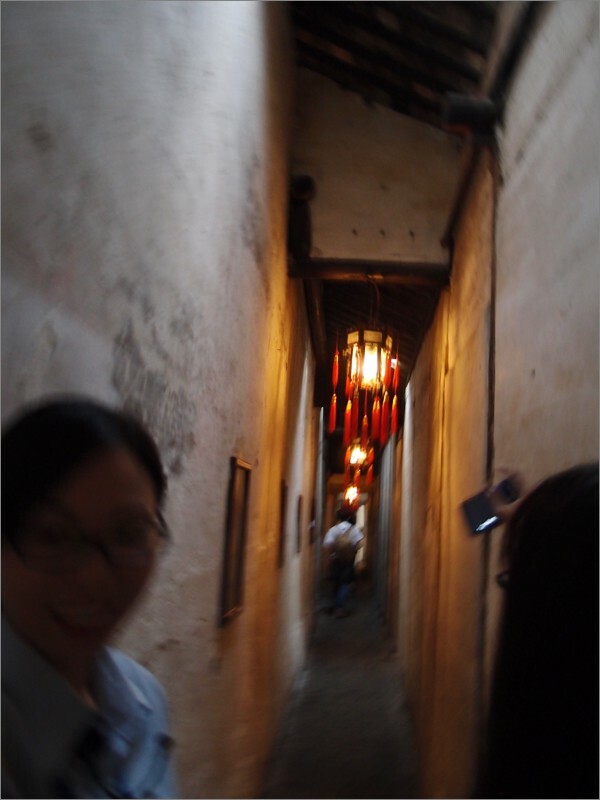 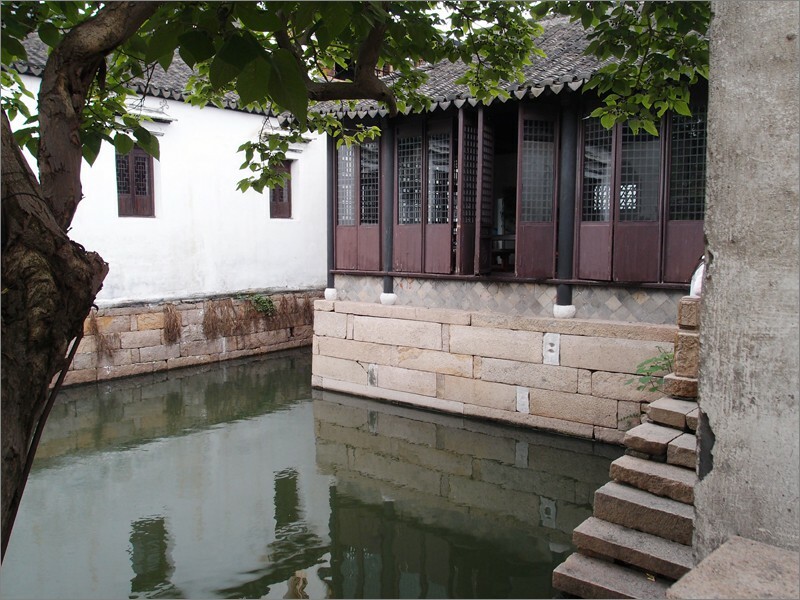 Early in my China artist residency in May 2015, I’d visited an imitation river town built in the 18th century for the enjoyment of imperial concubines. 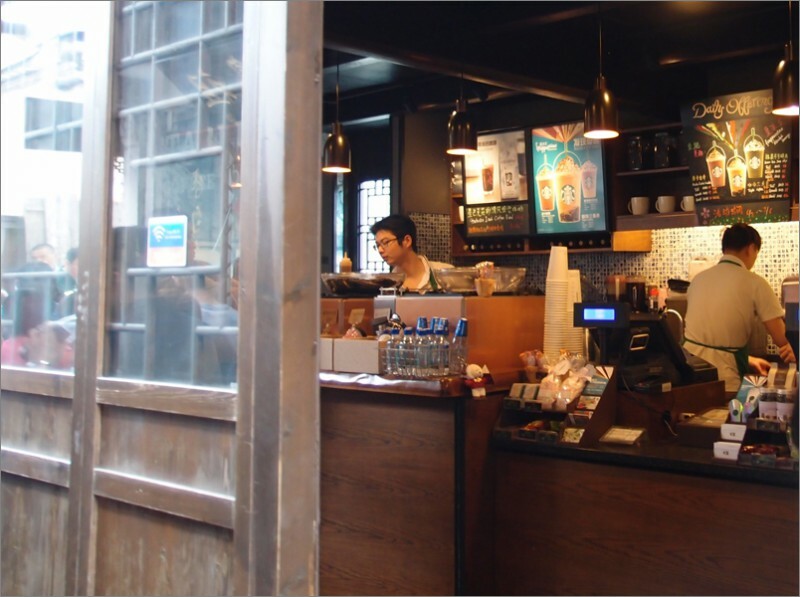 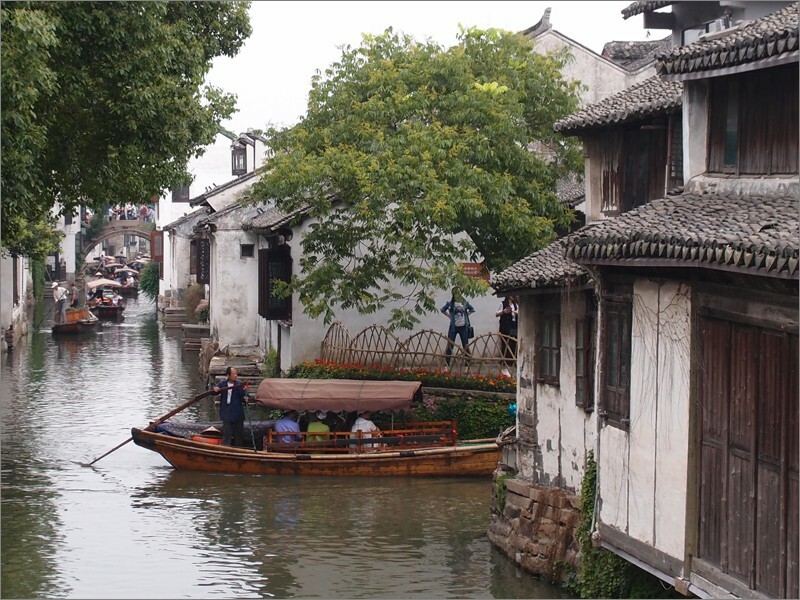 It was designed to recreate actual river towns such as Zhouzhuang, ninety minutes west of Shanghai by bus. 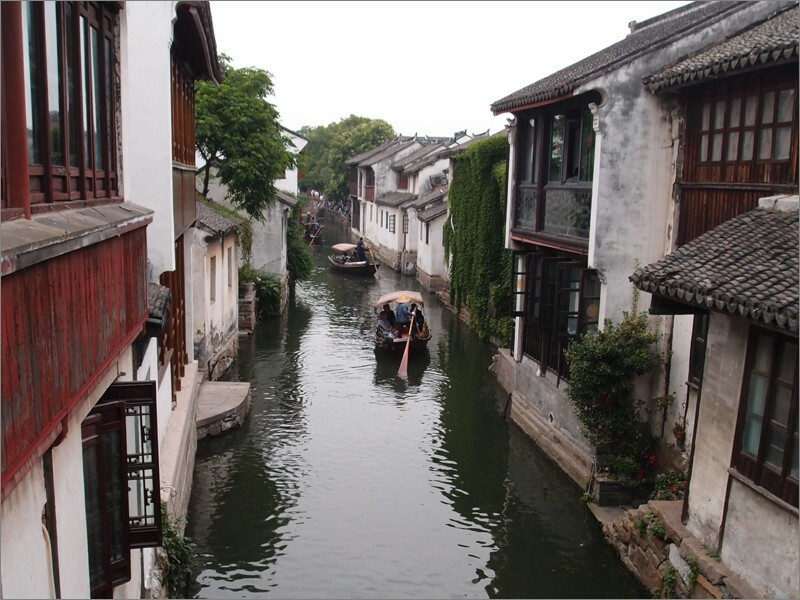 It is one of thousands of similar towns with varying degrees of historical significance. 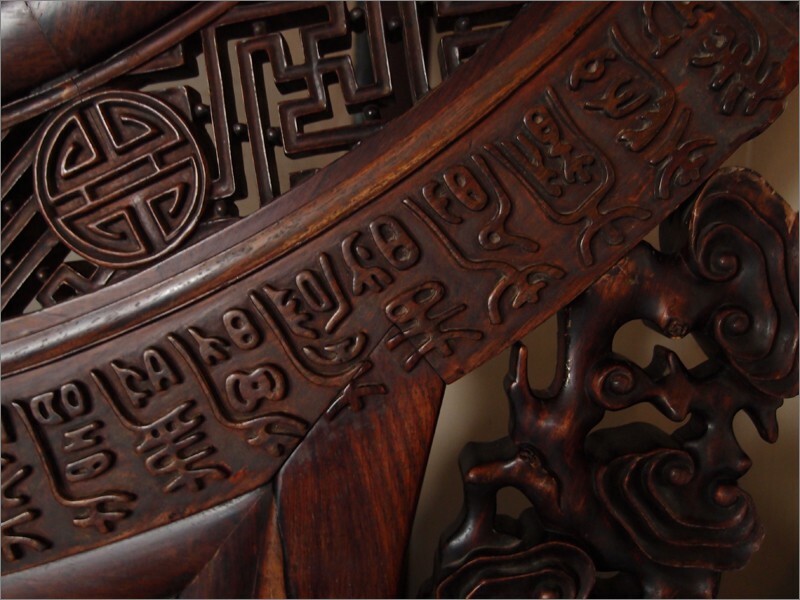 Artifacts of civilization in the area date to 770 BC. 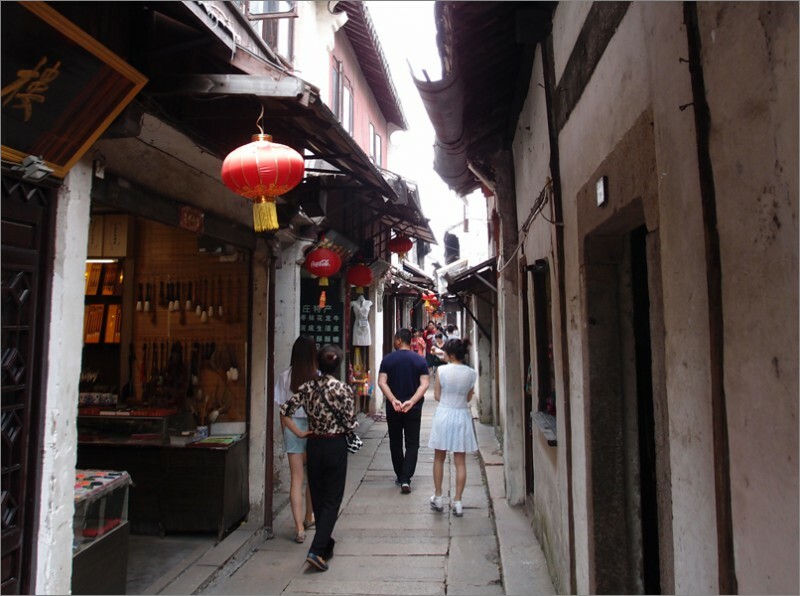 Three million visitors per year crowd the narrow cobbled streets, quaint scenes, cheap tourist shops, and private homes of wealthy 18th century merchants. 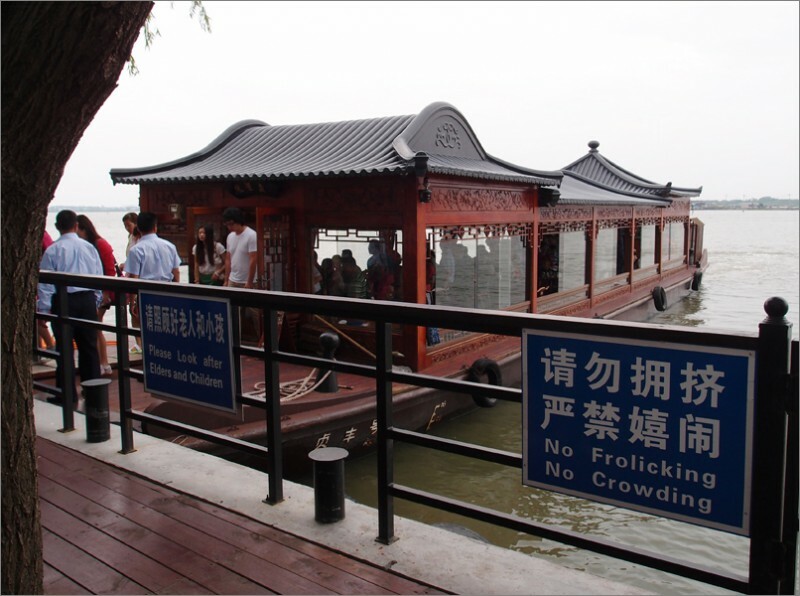 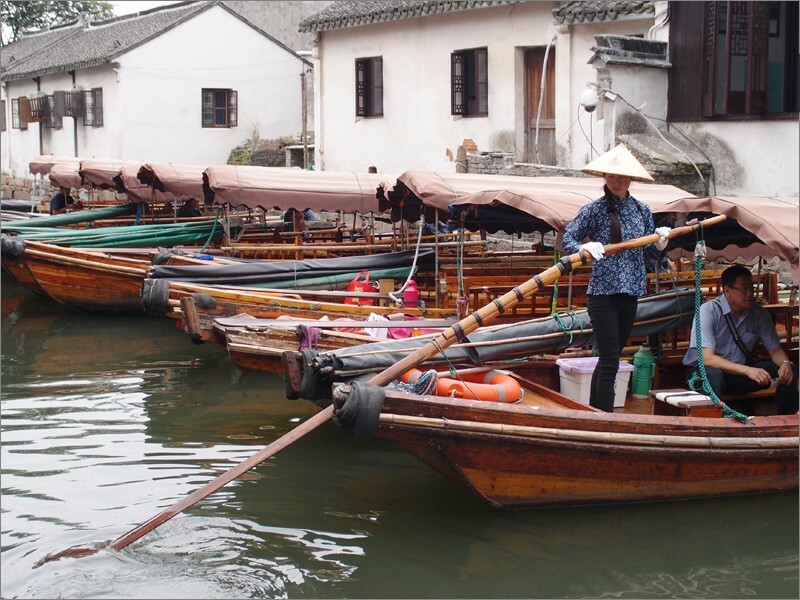 Authentic reproduction canal boats navigate beneath 13th century Yuan Dynasty bridges. 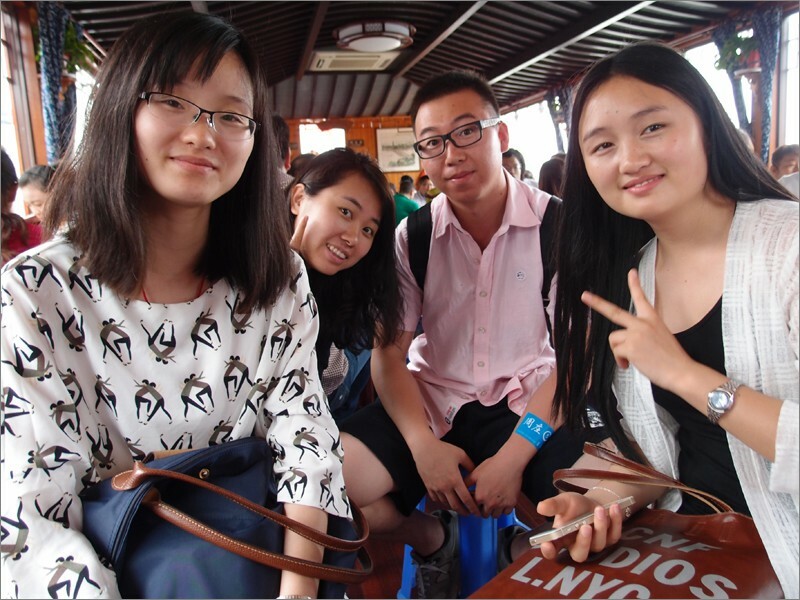 Sundays, when we visited, are discounted for students, making it its most crowded. 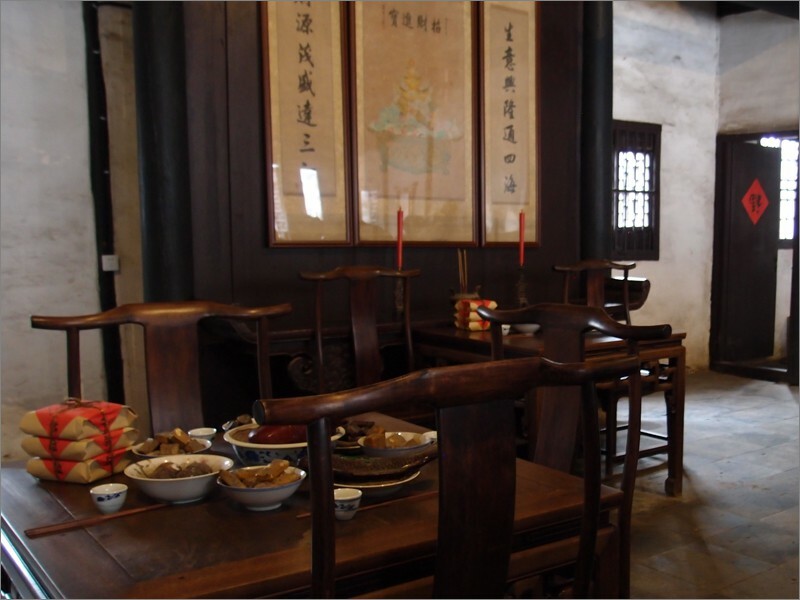 Permanent residents cater to hoards of tourists within a living museum, authentic and recreated seamlessly interwoven. 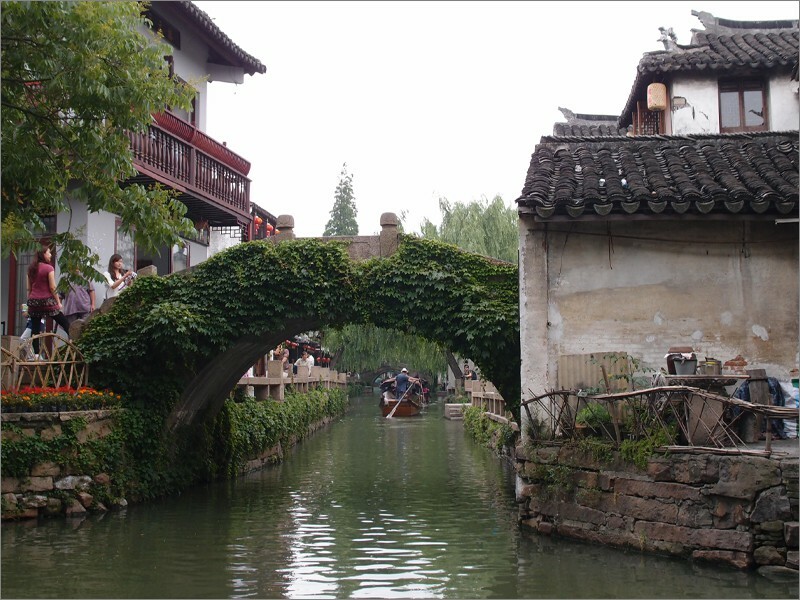 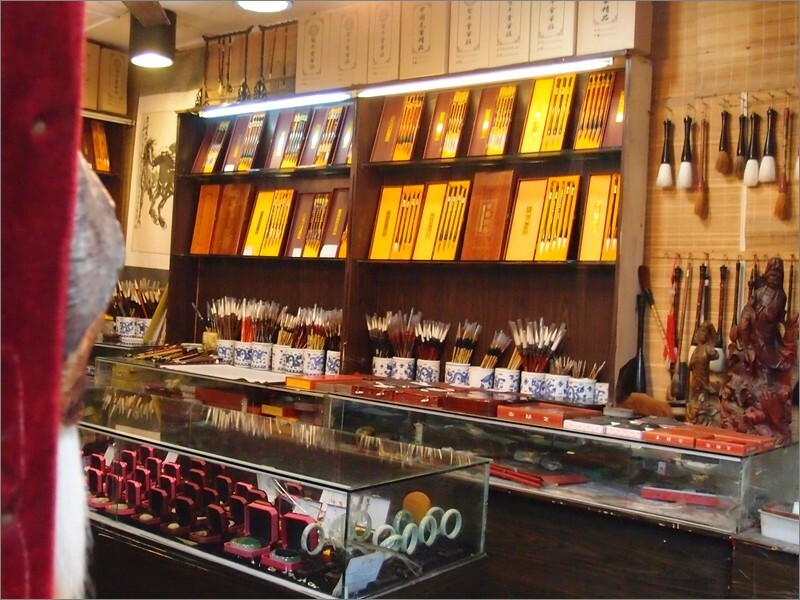 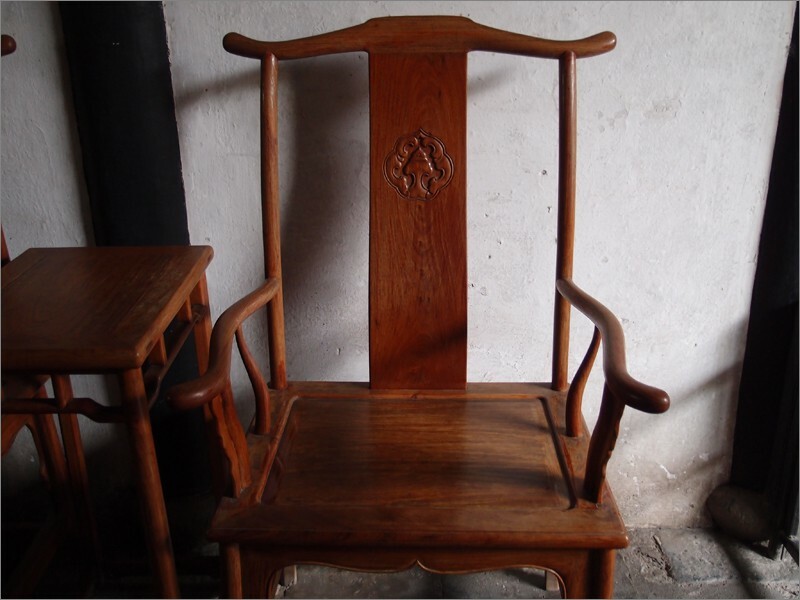 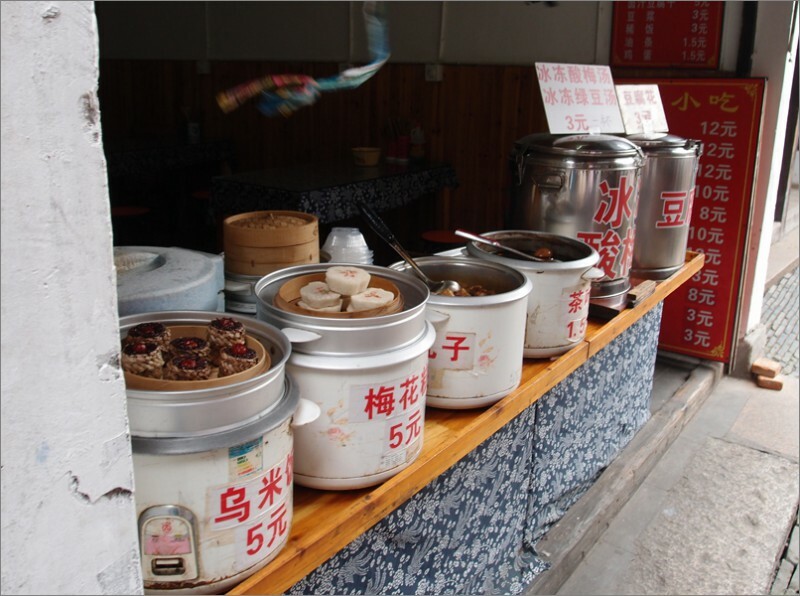 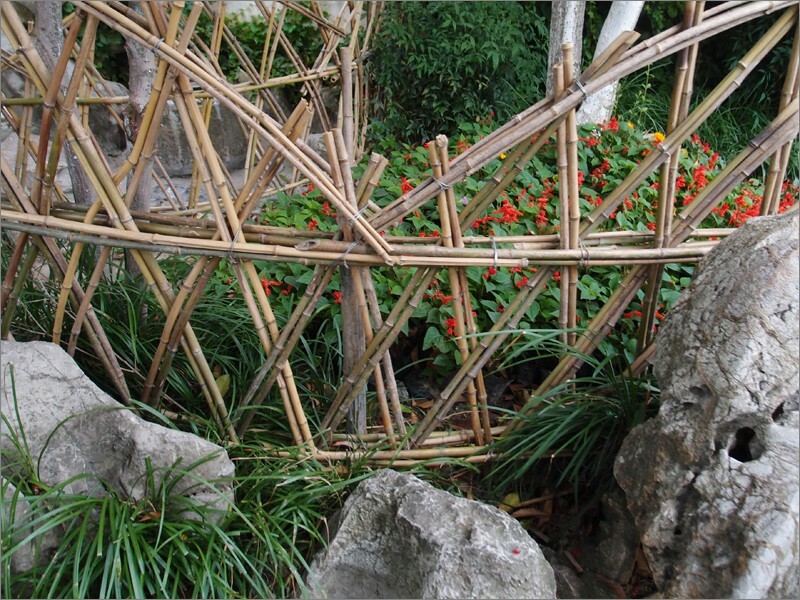 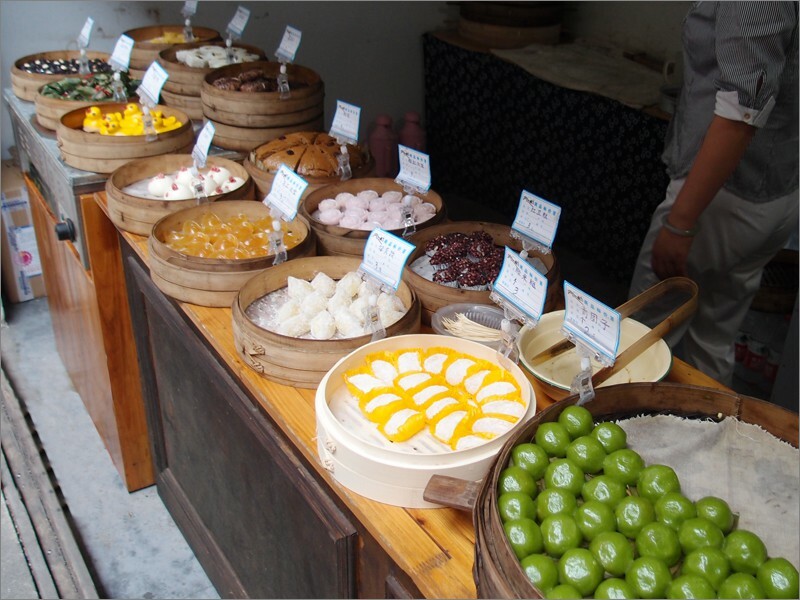 In many ways, Zhouzhuang has become an imitation of itself. 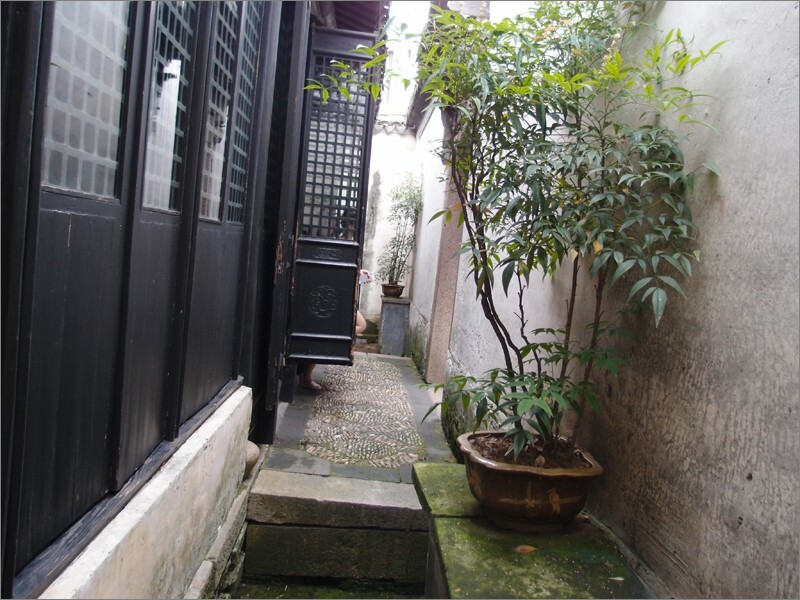 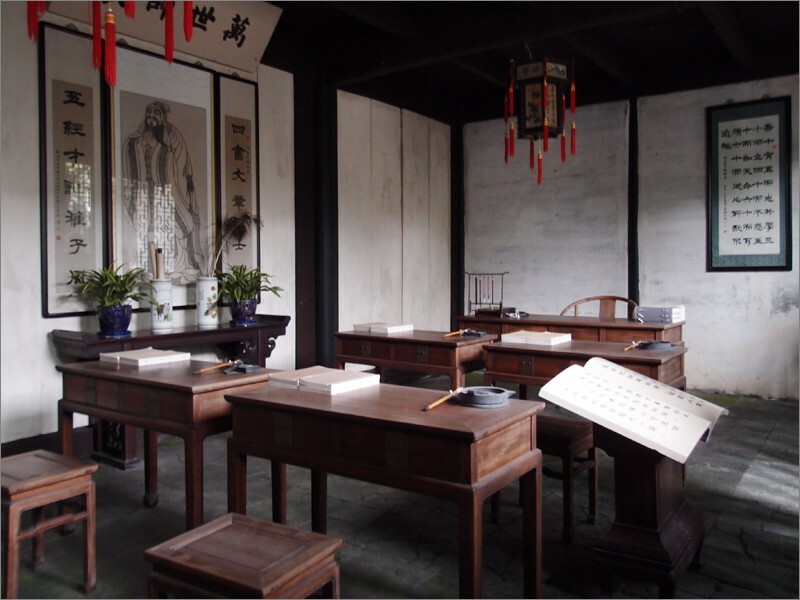 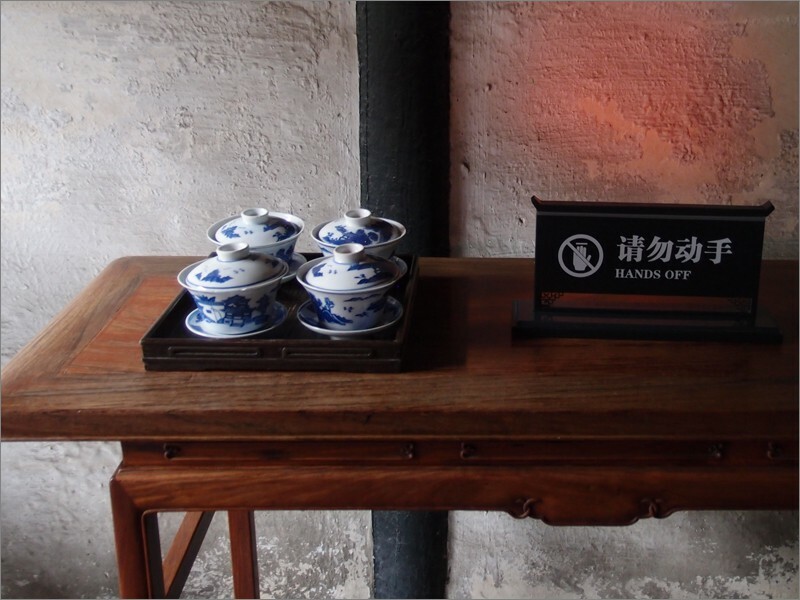 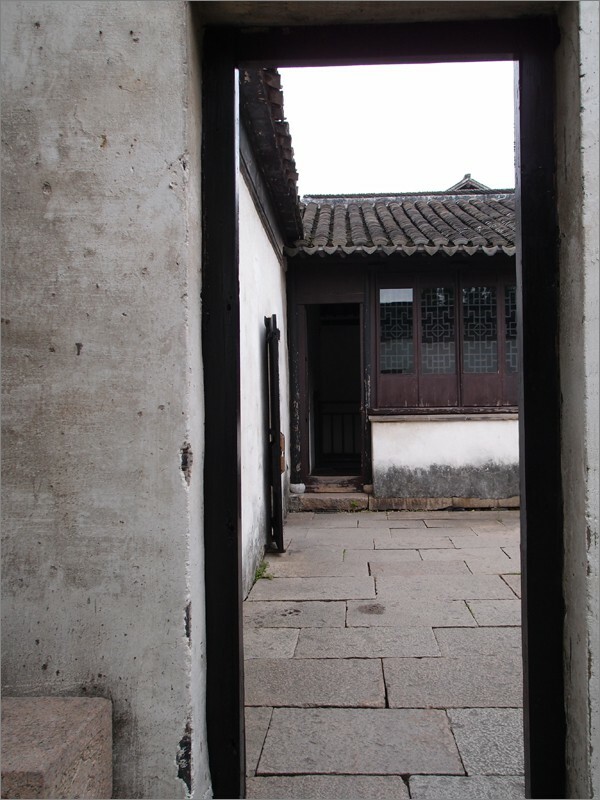 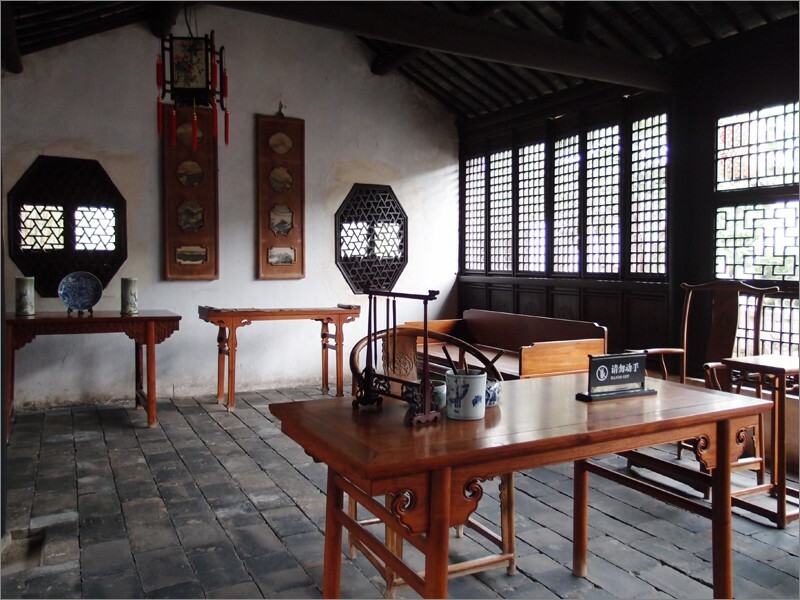 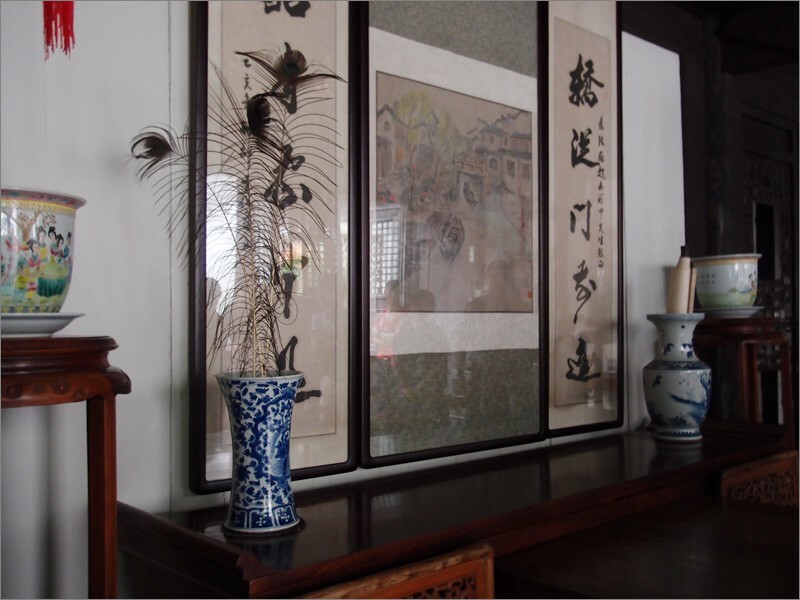 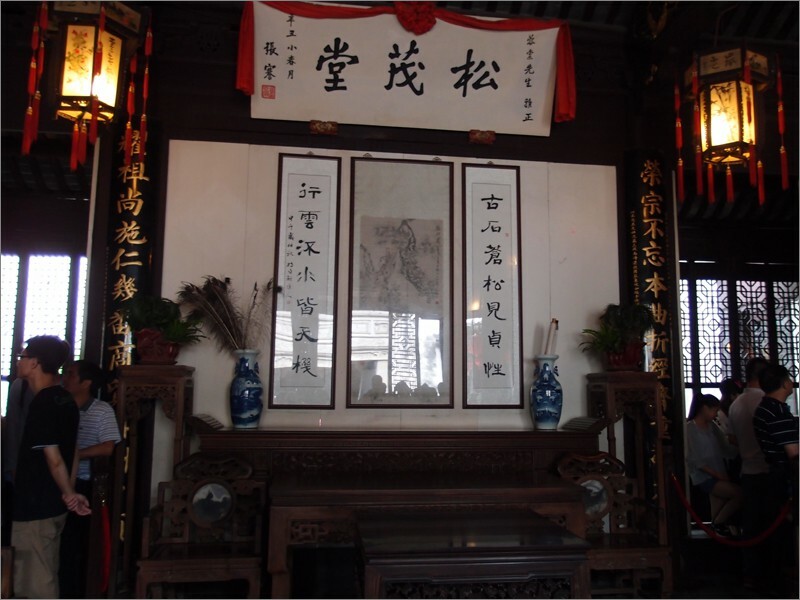 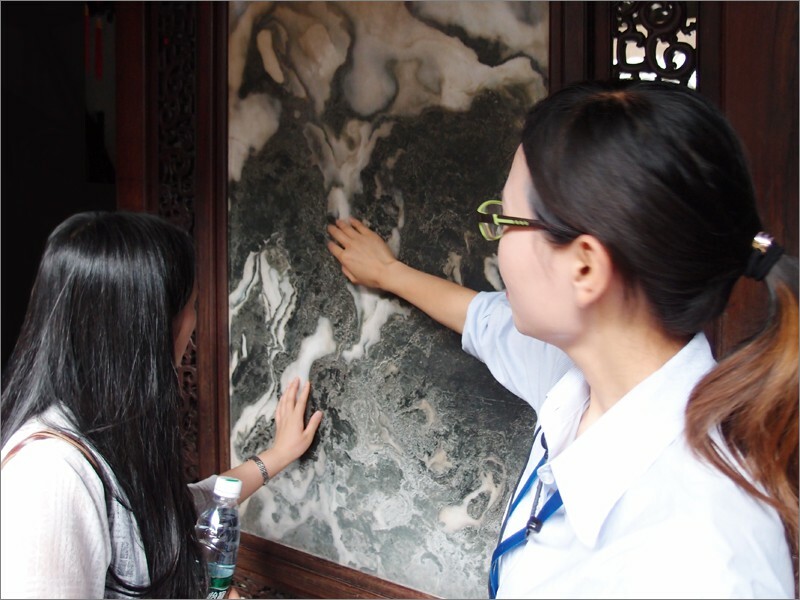 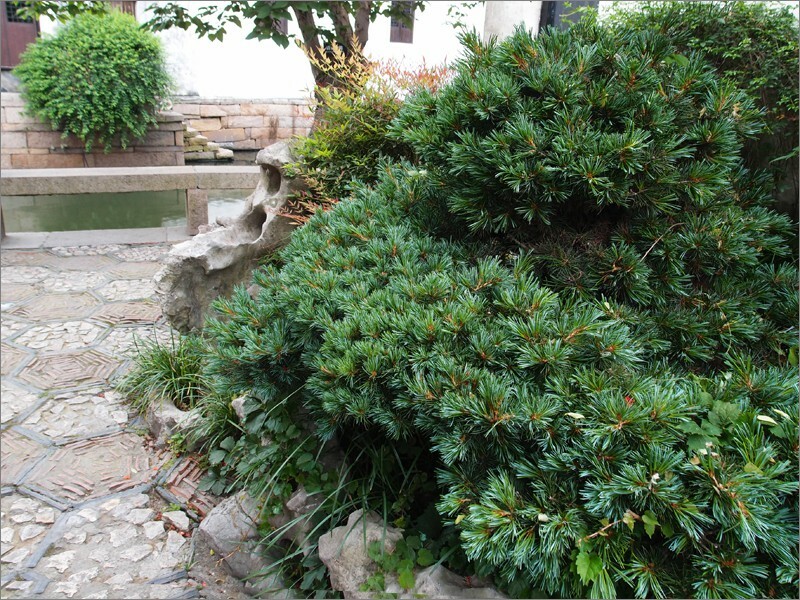 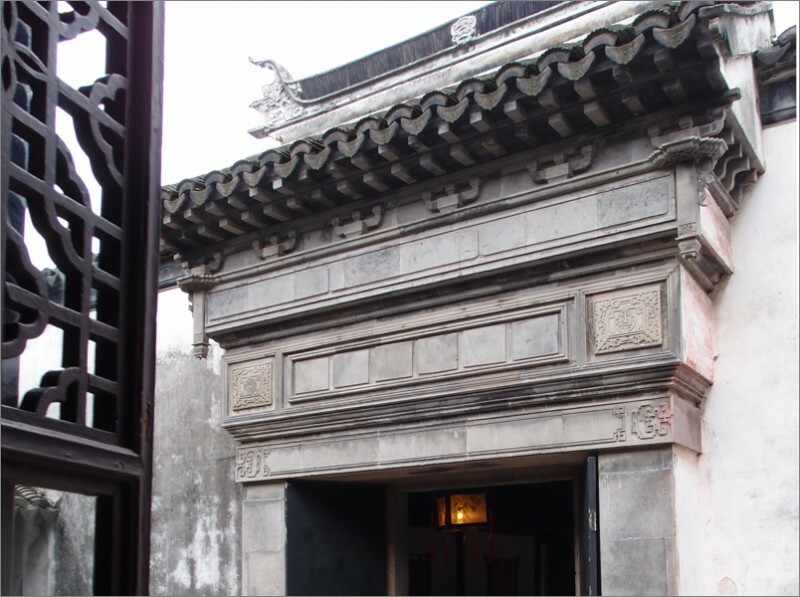 Zhang house, built between 1436 and 1449 Ming Dynasty, has six courtyards and more than 70 rooms, with a famous 47 meter long hallway for servants, and a canal passing through the property.